So many people living in this world have their hearts, minds, and faiths tied to a god figure. Many people are brought up from birth to believe in a god that has created the world, one that is full of good and love for all mankind and who only has our best interests at heart. If that’s the case, why do we have famine, war, disease, natural disasters? Doesn’t that level of suffering make a god seem rather foul? There are those who hold true to that thinking—and it makes a lot of sense balancing what we’re taught vs. what’s in our senses when examining all the evil in the world—and that leads some to not only lose faith in god or gods but top hate them outright. 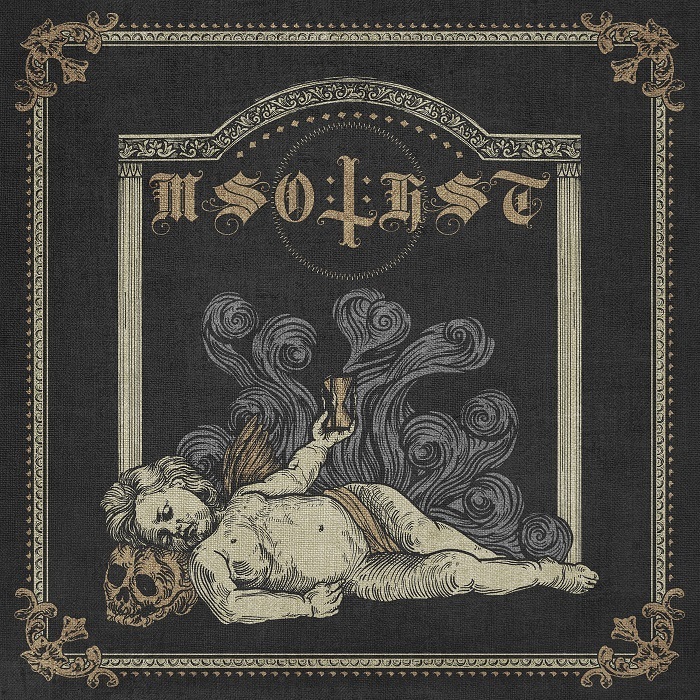 Nordic black metal band Misotheist took on the name of people who exercise outright hatred toward the gods, and their first release (at least we think so, as there is just about no information about them out there), a self-titled affair, pays off the fury and rage one could feel toward a higher power. The band is not forthright with identities, past accomplishments or bands, or even their own personal feelings about their feelings toward the gods, so we’re left to wonder. What we do know is this three-track, 33-plus-minute opus swims in chaos and dissonance, weaving you in and out of the flames and creaking caverns that make up the mental space they operate, keeping the journey dangerous but challenging. Opener “Carriers of Captivity” is the shortest song on the record, and it’s 10:18 long. Noise hovers before the song bursts, and mind-bending playing is launched and brings confusion. Atmosphere arrives, while the song storms heavily, as the growls crush, and then we meander into bizarre territory. Growls swarm while the song disorients, and then the track tears open again, with the pace erupting, guitars spilling blood and charging forward, and the growls rumbling before an elegant sheen is applied, and the track bleeds out in a fury. “Breast and Soil” runs 11:06, and it starts with an eerie Middle Ages vibe before the track lets loose and crushes bones. The riffs swirls while the vocals punish, bringing a thunderous, sweltering assault, dragging you exposed over crags and crevices, with your skin aching and bleeding. Riffs spit blood before the mood turns somber, spreading its cloud cover before the top is torn off, melodies bubble, and the track blazes to a finish. “Blood of Rats” is the 12-minute closer that’s shadowy and sorrowful at the start, with guitars stinging and the growls feeling raw. Guitars cut into the flesh dramatically, as the growls turn into a hiss, before the track goes hypnotic. Growls slithers, the riffs encircle, and the song becomes fast and numbing, splattering over a several-minute stretch that’s hellish and adventurous. The band then turns on the jets, stampedes forcefully, and drive the track to its burnout finish. Misotheist make you wonder about their hatred and violent tendencies toward the gods, but the music on their self-titled debut really doesn’t shows its hand explicitly, leaving you to work your way through the darkness. The music is fiery and devastating, but it’s also wondrous in spots and pushes your mind creatively. There’s no way of knowing the band’s true intent, so all we have left is a record of spellbinding black metal in which to immerse ourselves.